These days, the impact that private companies build on society as they adhere to their corporate social responsibility (CSR) has become more profound. They’ve created a new source of hope for the impoverished as reality shows that government services leave much to be desired. No doubt, CSR has become a more integral component of private companies’ culture. The Primer Group of Companies, through the years, have lived and breathed this concept by way of its socio-civic programs and outreach activities. The Primer Group’s employees — aptly called KaPrimers — have built a culture that champions activities that are both inclusive and sustainable. The company has been recognized several times for its commitment to the CSR initiative. Among the awards that the Primer Group has received are the 2010 Pacific Asia Travel Association Gold Award, the 2013 Quill Merit Award for Employee Engagement and for the Nature Class Program at the Philippine Quill Awards, a citation from the 2015 Asia Sports Industry Awards for Best Corporate Social Responsibility, and the 2018 Asia CEO’s Circle of Excellence Award under CSR Company of the Year category. As KaPrimers advance the company’s CSR goals, partnerships with several other local organizations along with members of the community are also formed. Non-government organizations (NGOs) who already have existing foci in different communities are given a hand in advancing their plans. Residents of the barangays are conveyed ownership of projects, building more meaningful collaborations. At the conclusion of the activities, the beneficiaries not only enjoy a better quality of life but they also move forward with a more genuine appreciation of the solution and process. Seeds of humanitarian service are planted and the aftermath is encouraging. The Primer Group’s care towards the community does not end as soon as the beneficiaries receive the help or assistance. In fact, it only marks the beginning of Primer’s mission to create a lasting impact on society. A perfect embodiment of this is the Sustainable Tourism Entrepreneurship Program (STEP) or Tubong Lokal. In the said program, Barangay Alas-As in San Nicolas, Batangas was given a tourism boost that also resulted in new livelihood opportunities for the residents. Tubong Lokal involves immersion into the community, identifying its needs while learning more about its potential especially in the tourism aspect. With Barangay Alas-As situated near the world-famous Taal Volcano, the area is already an instant spot for sightseeing and nature trips. A couple of places also stand out in the barangay, namely the bird sanctuary, Lava Walk, and Pansipit river. With an empowered community, more residents are better prepared to take on the influx of opportunities in tourism. They know their product. They understand how to take care of it. And of course, every profit that comes from this endeavor goes straight to the residents. The outdoors hold a special place within the culture of the Primer Group of Companies. Being an exclusive distributor for some of the top and premium international outdoor brands, it is only fitting that the company embeds an environmental focus in most of its activities. In fact, some of the Primer Group’s clients have their own environment-friendly activities which the company also supports. Internally, awareness is constantly being promoted and employees participate in nature-focused projects. 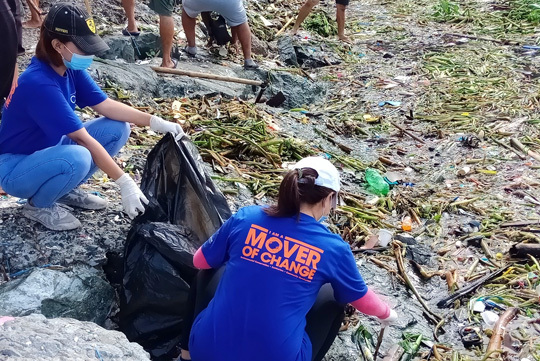 A coastal cleanup was organized together with the Wild Bird Club of the Philippines at the Las Piñas-Parañaque Critical Habitat Ecotourism Area. Furthermore, tree planting and nature class sessions that tackled flora and fauna as well as biodiversity were also conducted. The Primer Group also does its part in promoting a cleaner mode of transportation through its bike sharing program. One doesn’t have to be an environmental expert to realize that Metro Manila is not the least polluted place in the country. But by becoming a part of the solution, the company hopes to inspire others in the use of bicycles whenever feasible. Partnerships with different local government units and NGOs are also being forged. The company supports science expeditions by NGOs. As mentioned above, the Wild Bird Club of the Philippines and the Primer Group have had a number of collaborations in the past. The same can be said with the Centre for Sustainability Philippines and the list goes on. With the preservation of the environment, opportunities also come along, particularly in tourism. Tubong Lokal is a prime example of that as it involved communities with great potential in this aspect and as a result, the locals enjoy a boom in their livelihood through tourism. It is undeniable that the private sector has, on numerous occasions, stepped up to the plate and provided service to communities in ways that the government could not. The Primer Group plays its part in these philanthropic ways through several activities that cater to specific needs of Filipinos. Through Heroes on Wheels, bicycles were donated to several organizations across the country. In Palo, Leyte, artist-teachers from the Palo Culture and the Arts Organization received bikes that enabled them to easily access far-flung areas as they continue to uplift the morale of residents who were devastated by super typhoon Haiyan years ago. Pasali Philippines Foundation, Inc. also experienced the same. 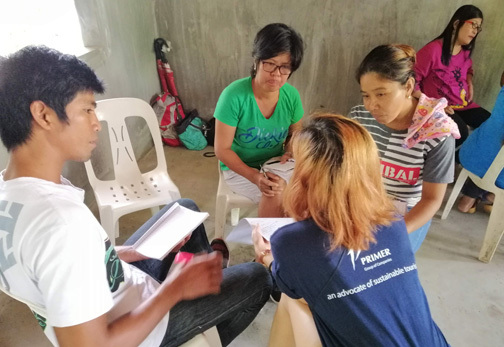 The organization immerses itself within communities in Mindanao, enlightening the locals with new methods in harnessing their agricultural riches on their way to becoming self-reliant. In Davao City, Tuburan Institute, Inc. and Cycle for Life also became beneficiaries of the Heroes on Wheels program. The former promotes a deeper understanding of the environment among children, while the latter champions the use of bicycles around the city. 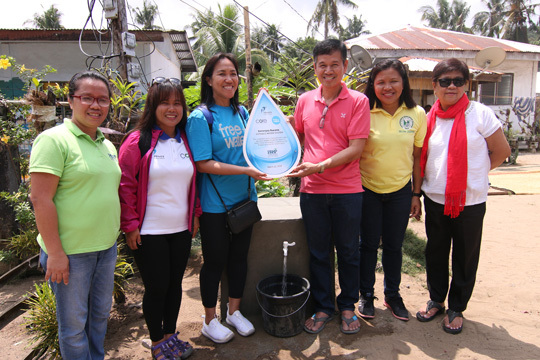 In cooperation with Freewaters, residents of Barangay Bucana in Palawan and an indigenous group in Aurora Province were granted a water system, addressing their dire need for clean water in response to the United Nations Sustainable Development Goal # 6, which is Clean Water and Sanitation, while also providing livelihood opportunities to the residents. KaPrimers have also taken part in and initiated disaster-relief efforts whenever calamity strikes. The list goes on for the Primer Group and its CSR initiatives for the community. Employee engagement has always been very high when it comes to the Primer Group’s CSR activities. The company promotes an inclusive culture among its employees. It starts from the top and it trickles down to everyone within the company. Employees share whatever resources they’re able to allocate, whether finances, manpower, or networking — everybody chips in. 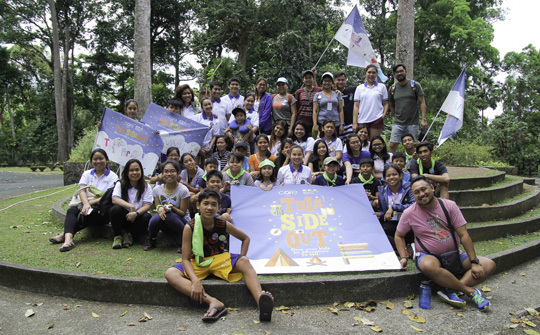 Among the noteworthy examples of this is the fundraising activity conducted as part of the water system set up in Barangay Bucana in El Nido, Palawan. A donation drive among Primer employees was set up with the total funds collected reaching a six-figure amount. The company even held a raffle to signify its gratitude towards those employees who donated. Employee volunteers are encouraged to come up with outreach activities — from conceptualization to implementation — and they’re given the chance to do so on multiple occasions throughout the year. A diverse set of beneficiaries, those who are considered as underserved, is targeted that includes both the young and old. There’s no limit to helping and this is something that is being driven among the Primer Group’s employees. While employees are empowered to coordinate CSR activities on their own, the company remains on top of things. The Primer Group has always been aware of the talents and capabilities of volunteers. These are being utilized by allowing them to participate in activities where their expertise can be harnessed. The Primer Group’s employees have always been dedicated to serving the less fortunate, devoting personal time and resources to their outreach activities. It’s a beautiful thing that hopefully inspires others to join them in their advocacies.